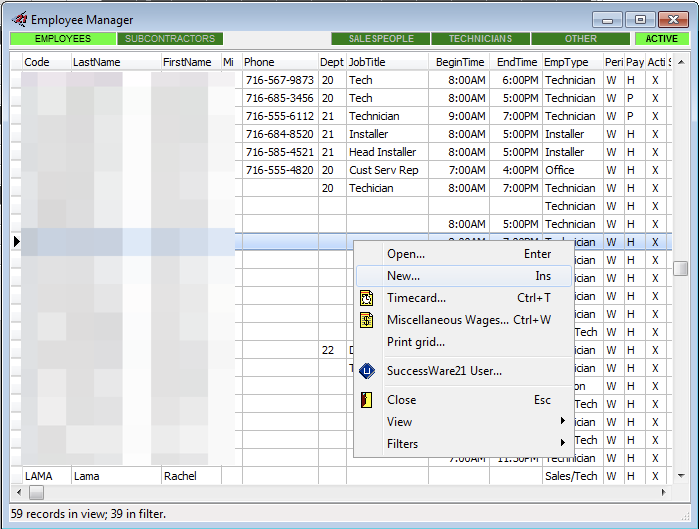 How do I set up new Employees in SuccessWare21? Note: This step must be performed before a Tech can be turned into a User. Once they are setup as a User, they can login to SWRemote. Please note you have a brand new technician that is just starting with your company, you must first create the technician as an Employee for your company. Continue with setting up the Username outlined above. *be mindful that the Employee Code has to become the Username, and the Employee Code can't be modified once it is created. Now you can setup the Techs as Users. You can follow those instructions HERE.